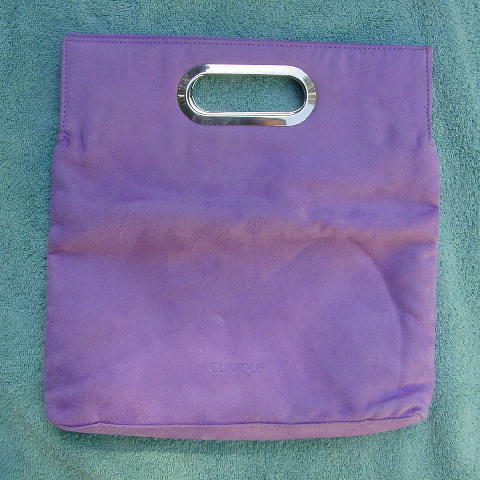 This never-used light purple 100% polyester purse is by Clinique. It has an appearance of an ultrasuede. 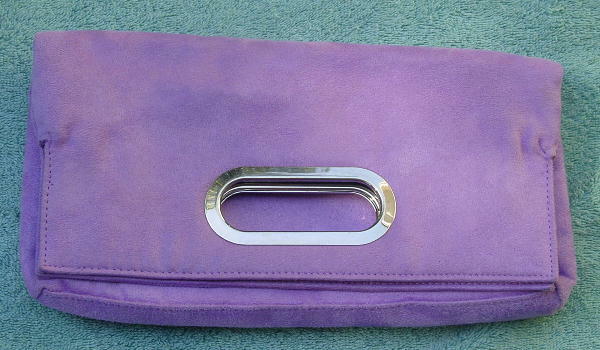 The synthetic lining is in a slightly lighter shade of purple. It has a hand cutout edged in silver-tone metal. You can carry it as a handbag or fold it in half and carry it as a clutch. Clinique is etched near the bottom center on one side. It can be worn in the evening as a clutch. The color is more pinkish than it appears in the pictures. It's from a stylist's inventory, and was used as a prop in a photo shoot.